The Compact Plus Program aims to encourage learners from underrepresented and non-traditional groups to progress to higher education. To this end the University employs a tight targeting mechanism to ensure that learners who need the most support receive it. The Plus Programme is a relationship with the individual student and their parents or carers, and provides a number of intensive support opportunities designed to raise aspirations and attainment. The University of Brighton Compact is an education liaison initiative which is open to all post-16 schools and colleges. The Compact is a relationship with the institution, and guarantees offers and provides information, advice and guidance for students, and CPD opportunities for staff. A programme of enhanced support for students from underrepresented groups sits within the Compact known as the Compact Plus programme. The Plus Programme is a relationship with the individual student and their parents or carers, and provides a number of intensive support opportunities designed to raise aspirations and attainment. The overarching aim of the Compact Plus programme is to encourage and enable more students from underrepresented groups to progress to higher education. The University has made explicit commitments to increasing participation to both the institution and the sector in its access agreement and strategic plan, and we have specific access agreement targets around both of these objectives. Through offering quality information, advice and guidance, we wish to help students to make an informed decision about applying to the right university for them. The University has a number of objectives around its widening participation work which Compact Plus is aiming to meet. Embedding WP into academic faculties – through the Compact Outreach Operations Group we have representatives from each School and the WP team is enabling them to develop subject specific outreach. Directed support for schools and colleges - through the Compact Fund we are contributing to staff time in schools and colleges to help with the coordination costs of participating in the programme. We also pay for travel and staff cover. Making it easy for schools to participate – by further integration of education liaison with widening participation, schools and colleges can easily arrange outreach support with the University, whether for targeted or general support. Early intervention – we have a long established primary school programme (Professor C Gull), and have recently extended Compact Plus to include six primaries in areas of socio-economic difficulty. Student engagement – a key aim of our Strategic Plan 2012-15 is to allow students to chance for external engagement. Through our ambassador and mentoring schemes for Compact Plus students we are encouraging our students to share their knowledge and develop skills. Sustained and targeted approach to outreach – considering data from the Higher Education Access Tracker (HEAT) we know that the more students engage the more likely they are to progress to HE. Compact Plus is a holistic programme which allows participants the chance to engage in a variety of ways over a number of years. In addition, we have a number of access agreement targets around how many students we plan to recruit to the programme and how many activities we aim to provide. Currently, there are around 1,500 students in the programme, although we plan to double this by the 2017/18 academic year. Another key objective for us is to build up a body of ensure what we are doing works and that it is directed at those who need the most support. The University subscribes to HEAT, a collaborative database which can track students, allowing us to monitor their participation, collect evaluation and ultimately see if they progress to HE. We are investigating the possibility of “handing over” students, with their consent, to their destination HEI. This would enable students to continue to access support throughout their student lifecycle, and the HEI would better know where to target its student success resource. HEAT provides us with targeting information which we use to direct our resources appropriately toward schools and colleges with the most need. The Compact Plus programme was developed in response to a number of factors. Firstly, with the discontinuation of the national Aim Higher programme many local schools and colleges were left without a defined outreach offer. Compact is our attempt to help replace some of the support which was removed. Secondly, with the increase in tuition fees in 2012, HEIs are encouraged to provide sustained, impactful and innovative programmes of outreach by OFFA and HEFCE, and detail these measures in access agreements. Compact Plus is the University’s response to this. Thirdly, the University itself developed the Compact Plus programme to bring together a number of strands of outreach which had been stand-alone projects. The objective of this was to ensure that individual projects and activities strengthened each other and built on the participant’s prior interactions with the University. This has also made it easier for schools to understand, as there is now one contact point for all outreach, minimising confusion. It is our intention to provide a clear and coherent education liaison outreach service for all schools and colleges and students, which Compact and Compact Plus enable us to do. Compact Plus aims to encourage learners from underrepresented and non-traditional groups to progress to higher education. To this end the University employs a tight targeting mechanism to ensure that learners who need the most support receive it. Applicants for the programme who are in the care of a local authority, have caring responsibilities, are an asylum seeker or have a disability are automatically eligible for the programme. Applicants who meet two or more of the following criteria are also eligible: neither parent has been to University, from a low participation neighbourhood (POLAR 3, quintiles 1 & 2), family background is classified as socio-economic class 4-7 and have been eligible for free school meals. We also consider other applicants on an individual basis in consultation with the school or college. Compact Plus is open to pupils in our six partner primary schools from Y6. We have specifically identified these schools (three in Brighton and three in Hastings) as being in need of additional support due to their socio-economic circumstances. In our partner secondary schools we begin accepting applications in Y9, and Y12 or Access in partner sixth forms or colleges. Each of the three local Virtual Schools are Compact partners, and we are particularly engaged with developing specific offers for looked after children in the local area. We run a Spring School each year for Y7-9 pupils from care backgrounds. We have always worked with parents of students, but we are developing our work in this area much further. We are looking at developing projects working specifically with parents to help develop their understanding of HE and how it works. We currently run seminars based around different aspects of the application cycle, and we aim to build on these. In total the University has 53 Compact partner institutions, 1500 participants. We are planning to expand this to 3000 by 2017. The key political motivators for the development of the programme are the drive for greater social mobility from BIS, channelled through an institutional access agreement for the Office for Fair access and a strategic statement for HEFCE. Recently OFFA and HEFCE have published the National Strategy for Access and Student Success, which aims to give Universities a focus for their effort, without being prescriptive. These policies have encouraged HEIs to begin outreach programmes in a way which suits their individual circumstances, but within the defined parameters of a national strategy. The University has made explicit commitments to both the recruitment of students from underrepresented groups in its strategic plan. The plan states that “we will continue to set out explicit commitments in our access agreement … our local outreach activity will include work with schools and colleges to raise attainment and help students from non-traditional backgrounds to access the most selective courses.” The Compact Plus has formed the overarching vehicle for the University to realise its ambitions in this area. As a partnership, schools and colleges have a vital part to play in the success of the Compact. As stakeholders, they are invited to regular discussion groups and the University consults with them on ongoing and responsive improvements. There are currently over 50 schools and colleges in the Compact partnership. These are mainly in the county of Sussex and post-16, although a considerable number of primary and pre-16 schools have been targeted based on a number of indices of deprivation. There are considerable factors which contribute to care leavers being underrepresented at University, and we are particularly committed to supporting them to make informed decisions. The Compact Plus Coordinator regularly meets with staff in local Virtual Schools to promote activity which is then passed straight on to students, who have priority access. Additionally, we believe, based on research (by the Joseph Rowntree Foundation and others) that parental engagement is critical in successful engagement with participants. To this end we have recruited a WP Officer with responsibility for working with parents. We are looking at ways to include parents in outreach, as opposed to passively observing. Most recently, this included parents of Compact Plus students accompanying them on a visit to the University of Greenwich which we ran. The Compact Plus programme is responsive to local as well as regional needs. 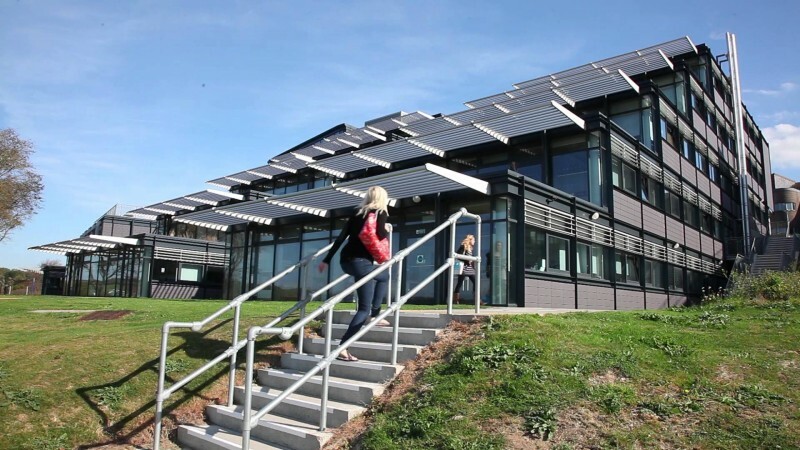 For example, the University has a campus in the coastal town of Hastings, which was built in 2003 to offer local HE provision to the community in an area with considerable social and economic problems. The University sponsors two academies in the area, and has a dedicated widening participation team based on the campus with a specific remit to provide activities for the Compact Plus pupils in the town. The University has funded many activities specifically for pupils in Hastings and St Leonard’s including a Biology Summer School, STEM master classes and visits to other HEIs for pupils and parents. Compact Plus is coordinated by a dedicated member of staff who is responsible for liaising with schools, students and parents, assessing applications and communicating the offer. Activity is generated for Compact Plus students through a University wide working group called the Compact Operation Outreach Group (COOG). A member of academic staff from each School sits on the Group and coordinates bids for outreach projects from colleagues in their respective departments. The bids are then assessed by the WP team considering a number of factors: individual aims and objectives, demand from partners, fit with the rest of the portfolio and previous evaluative evidence. The expected outputs of the project are that participants can make an informed decision about their educational or professional future. The University has based its outreach provision around Compact Plus, and has committed to make developments to the programme in its 2015/16 access agreement. Through the Compact Fund we have helped some of our partner colleges with staffing costs to help as many of their eligible students benefit from participating in the programme and develop their own outreach. We have funded colleagues in academic schools directly to help them develop their own activities. We aim to embed WP into the fabric of the University, and encouraging further participation in Compact Plus will help us to contribute to this culture. Additionally, we have employed academic WP leads in the Faculty of Arts to help foster a culture of WP on the campus. Additionally, we have started to employ coordination staff on campuses to help with this objective. As mentioned previously, HEAT is the database which underpins all of the outreach in Compact Plus, and allows us to track and build up an evaluative mosaic for each participant. The University is an original member of the HEAT collaboration, which is led by the University of Kent. The HEAT team have secured funding from HEFCE for a national roll out as it is considered to be an effective tool for tracking and data capture. The University is committed to spending 24% of its additional funding on widening participation measures, including financial support and student success, of which roughly 25% goes toward outreach initiatives. This is the principle funding for Compact Plus, although many staff around the University (for example the COOG representatives and project leaders) contribute significant time and energy to the project. This is difficult to quantify but demonstrates the importance the University places on engaging with underrepresented groups and the local community. The subject specific aspect of the programme depends on the skills and knowledge of our academic community, and we would not be able to run such a variety of activity without their input. Many of the academic staff involved give their time in a voluntary capacity. All WP ambassadors are paid, as many of them are from WP backgrounds and we believe it is important to remunerate their work for us. By participating in the scheme students also develop skills for the work place. As Compact Plus has been running for little over a year, it is not possible to draw conclusions about is effectiveness in encouraging WP students to apply to University. For definitive evidence pertaining to the first cohort, we shall need to refer to the HESA return for 2014 entry. However, in developing the programme we modelled our targets on data we had on the students we worked through Aimhigher Sussex. For example, after being tracked for two years 35% of these students who lived in POLAR2, Quintile 1 from the 2010 cohort went on to University, as did 42% of those who lived in Quintile 2. Considering the national average for these groups (13.6% and 22.7% respectively in POLAR2), we believe our interventions contributed to these statistics. Using POLAR3, we plan to build on this positive news, and have an access agreement target to reflect this. Evidence from the HEAT database about the success of previously run projects based on project evaluation by participants is used to inform our planned programme for 2015-16. This evidence has led us to expand our portfolio of activities in two key areas: Summer Schools and mentoring for both primary and secondary students, both of which have been shown to influence positive changes in attitudes towards HE of participants. We have found Summer Schools to be particularly effective, both for raising awareness and aspirations around subjects, but also in raising applications. As an example, of the students participating in the Sports Science Summer School, 50% applied for a place at the University of Brighton. We have now increased the number of Summer Schools which we run. We have continued to develop our mentoring programme based on positive evidence from evaluation. Overall, participants demonstrated a positive attitudinal shift when asked core questions before and after the project. Following the project there was an increase in the numbers of students who indicated increased aspiration to go to University, who felt they would ‘fit in’ at University and who said they had all the information needed to make a decision about applying to HE. We have also observed benefits to University student mentors, such as increased confidence and developing their employability skills. We are also adding to the number of intensive, repeat intervention activities based on the feedback we have received in previous years. All of these activities will now sit with the Compact Plus evaluative framework allowing us to build up a comprehensive picture of the success of our outreach programme. The University recognises a responsibility to demonstrate the effectiveness of our outreach programme, firstly to ensure individual projects meet their aims and objectives and secondly that they are targeted at those who need most support. We intend to continually review and improve outreach activity and gain feedback from participants to inform future developments. The University of Brighton has developed an Outreach Evaluation Framework, which has been in use for the last year, and this, along with the Higher Education Access Tracker (HEAT) database, will continue to be the tools used to monitor and evaluate our outreach work. A tool for monitoring and comparison with other datasets, such as UCAS data. The HEAT service will continue with the analysis of its data against UCAS information and, as the data matures, a full picture for the subscriber universities post-Aimhigher will emerge. In addition, with sufficient funds, the HEAT service has initial plans to do a similar HESA data-matching exercise and link this to university data about retention and attainment. Through the outreach evaluation framework participants in outreach activities complete surveys at key points during the projects, e.g. at the start of Year 9 (Year 6 for participants at primary school), transition from Year 11 to 12 and the end of all programmes. Alongside this, each activity is evaluated according to its level of intensity including core and subject specific questions, and the results attached to the record of the individual in HEAT. The more intensive activities are also subject to reflective questionnaires sometime after the event to measure longer term effects. This allows us not only to evaluate each activity on its own merits and compare with other events, but also build up a mosaic evaluation profile for each participant enabling us to determine the level of success of our sustained programme of outreach. Launched in June 2013, ongoing.